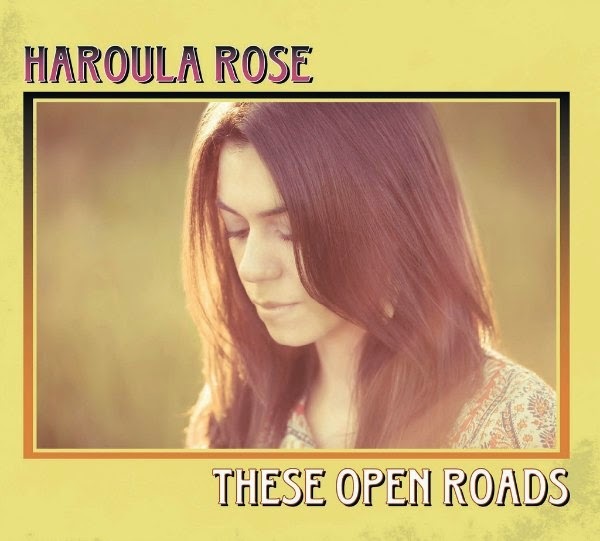 Haroula Rose sings with the spirit of a gypsy soul, always searching for meaning or a seed of truth in each fleeting moment. 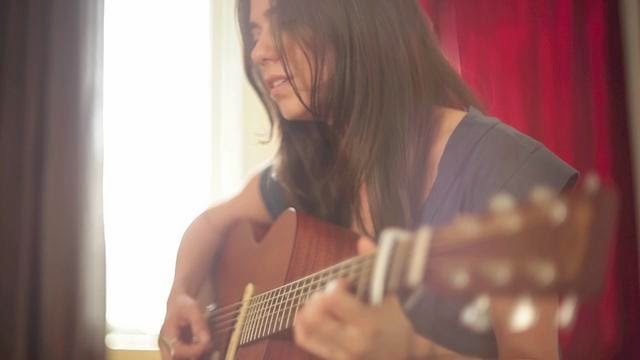 Her voice is at once intimate and solacing, its gentle inflections betraying a subtle, plaintive sway that enriches moments of guitar-driven folk with the pathos of classic country. She grew up just outside Chicago, lives now in Los Angeles, and considering even a bit of what’s shaped her artistry it’s clear that with her remarkable debut album, These Open Roads, she has found her defining purpose. 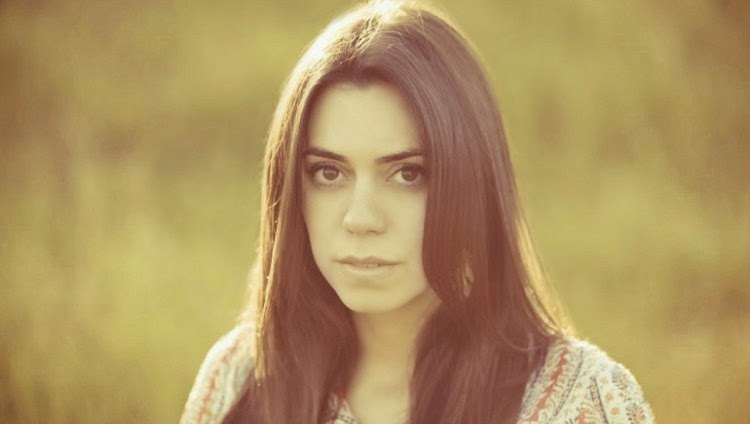 Haroula commemorated the album’s release earlier this year with an ambitious five-week residency at the Hotel Café in Los Angeles. It wasn’t the first time she’d performed at the famed venue. In fact, in recent years she’s played live on countless stages, most notably at venues like the Bitter End in New York City, Lestat’s in San Diego, T.T. the Bear’s Place in Boston, and the Viper Room on the Sunset Strip. Though crucial to craft, playing live—like songwriting and singing—is but one aspect of her talent. “For some reason I used to think you had to pick just one thing and focus on that one-hundred percent of the time,” Haroula says, “but I don’t think that’s true anymore.” Perhaps she felt as much because her musical curiosities have, since childhood, been diverse. Growing up, she took part in musical theater and school choirs, over time learning to play the violin and, later, guitar and piano. She sang in a cappella groups and in various bands with friends. She worked for a while in a recording studio, learning tools of the trade that would serve her well in years to come. And, after graduating from college, she taught music theory to children while living in Madrid on a Fulbright Grant. It wasn’t until 2009, when she released a five-song EP entitled Someday that she once and for all resolved to pursue her greatest passion. “That took me some time,” she recalls, “to come into my own in the way of being able to say, ‘This is who I am, and it’s part of my identity that I don’t want to keep pushing to the side.’” And so it was not with any sense of blind ambition or naiveté that she’d made her current album. Producing the album was Andy LeMaster, a mainstay of the Athens music scene who has worked with such artists as REM, Conor Oberst, and Orenda Fink, the latter having contributed vocals to a few songs on These Open Roads. The opportunity to work with Haroula on her first, full-length album is one he looks back on with pride and admiration. “Her voice is so cool and unique,” LeMaster says. “I just loved discovering what sort of arrangements and soundscapes worked best around that."